SMOOTH AND SUPER SOFT FOUR-WAY STRETCH MATERIAL. 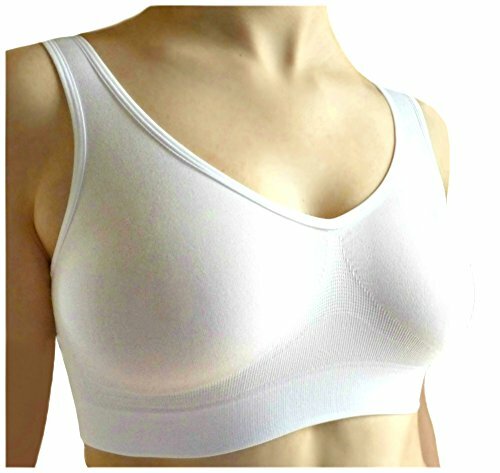 Category: Padded Comfort Bra.Tags: ahh bra, ahh bra reviews, Ahh Bra with Removable Pads, Camiselle Simply White Comfort Bra 3-Pack, genie bra, genie bra reviews, Marielle 4 Pack Bra Ultimate Comfort Bra. CAMISELLE PACKOF 3 COMFORT BRAS offers a fantastic new concept in bra comfort and support. It supports and shapes your figure beautifully without the need to worry about which cup size you are – you simply choose the size you wear in tops. It really is that simple! And there are no scratchy fastenings to chaff and irritate either, just pure soft, blissful comfort. And it’s very, very stretchy! Camiselle hugs your curves and fits like a second skin, gently lifting and supporting your figure like no other bra. 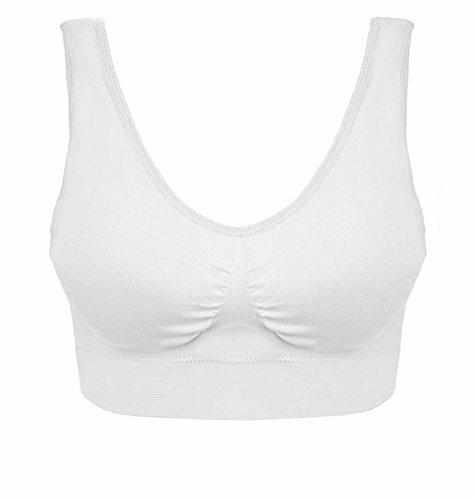 Camiselle allows you to make the most of your own natural beauty, and it’s so comfortable you won’t even feel like your wearing a bra! You can machine wash and tumble dry over and over and Camiselle will always keep it’s shape. And we promise that if, for any reason you’re not happy with your bras, we will always accept returns; so buy with confidence! We supply a far superior product, carefully checked and packed individually. And you’ll receive them far more quickly. The delivery window is just a guide; most customers receive their bras within two working days of ordering them – We ALWAYS post FIRST CLASS. We are a brand that you can trust! 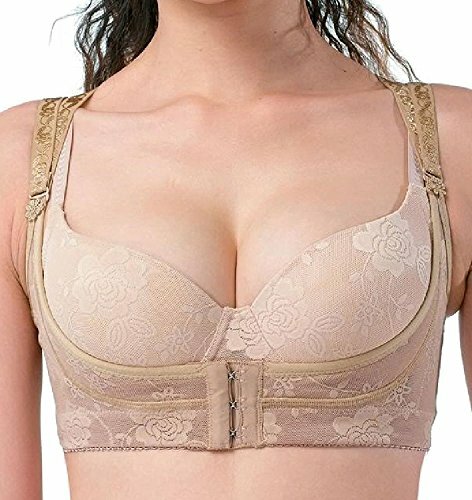 PLEASE NOTE THAT CAMISELLE IS DESIGNED FOR WOMEN OF CUP SIZES UP TO DD. VERY LARGE BUSTS MAY NEED ADDITIONAL SUPPORT. ALWAYS FAST FIRST CLASS POST – GET THEM QUICKLY. CAMISELLE LIFTS AND ENHANCES YOUR CURVES EFFORTLESSLY!